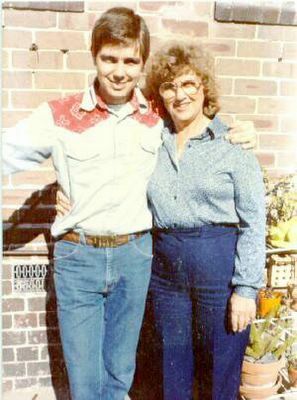 Vanus and his mother in 1983. I was 31 years old here, married and living in Marrickville, a suburb of Sydney, Australia. My mom made the cowboy shirt I'm wearing in this picture. She was visiting me in Sydney Australia where I was living at the time.